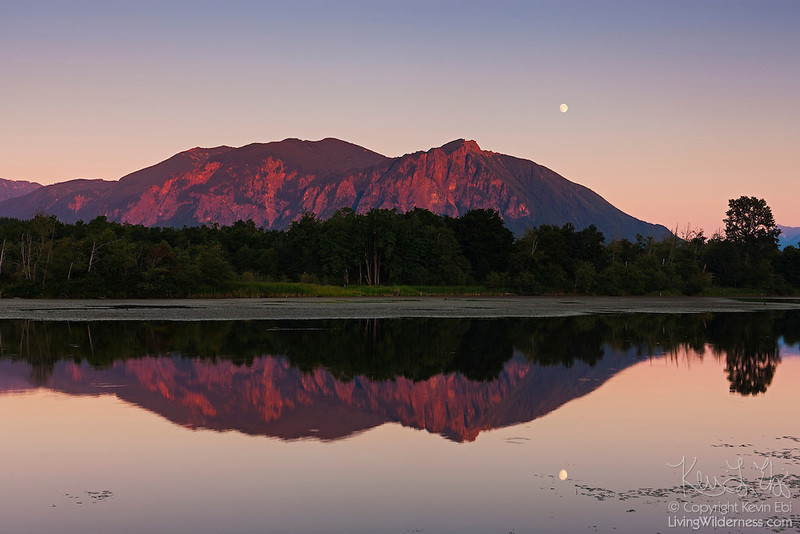 The nearly full moon rises over Mount Si, a 4,167 foot (1,270 meter) mountain located near North Bend, Washington. Mount Si is a remnant of an oceanic plate volcano. Its summit is a class 3 rock scramble known as the Haystack.